WASHINGTON — Department of Veterans Affairs research should focus on physical, rather than psychological, causes for the ailments that constitute Gulf War illness, several veterans of the Persian Gulf War told an Institute of Medicine hearing Wednesday. The veterans said members of a panel determining what makes up Gulf War illness should be experts in that field. "The VA has clearly stated it's physical," said Gulf War veteran Anthony Hardie, adding that research has repeatedly demonstrated that conclusion. Hardie asked why the Institute of Medicine panel should include experts in psychosomatic illness: "Why are there people on a panel that has nothing to do with their expertise? To me as a veteran, that's insulting." There are interactions between physiological systems and psychosomatic medicine, said Kenneth Shine, chairman of the Institute of Medicine board. "It doesn't necessarily mean that someone in the field of psychosomatic medicine means they think it's all in your head," Shine said. "I don't think that's an appropriate conclusion to draw. You have a lot of very good people coming at it from a variety of fields." Advocates for up to 250,000 veterans of the war in 1991 who suffer from the symptoms of Gulf War illness say the ailments have physiological causes and vigorously dispute anything they consider an attempt to say their problems are "all in their heads." Other witnesses told the panel the IOM and VA definition of Gulf War illness as "chronic multi-symptom illness" is too broad and dilutes any research that may be conducted under that definition. An earlier IOM report found that because the number of symptoms was so broad, there was no single known cause. Any definition of the illness must be based on evidence, said Lea Steele, a researcher at the Institute of Biomedical Studies at Baylor University, and should specify service in the conflict. "Studies show Gulf War illness is distinct from multi-symptom illness that we see in the general population," she said. She asked that the IOM definition come from experts in the field. A too-broad definition "slows progress," she said. 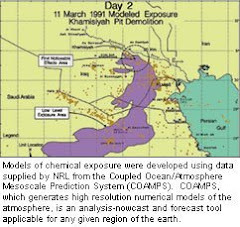 Some of the physical symptoms are associated with environmental exposure, including insect repellents, anti-nerve agent pills containing small doses of nerve agent and sarin gas released during an Air Force attack on an Iraqi chemical factory, said Roberta White of Boston University's School of Public Health. Those ties have been known since 1993 when VA officials asked White to study a group of Gulf War veterans from Fort Devens, Mass., she said. From the beginning, White said, her research showed the psychological issues were not significant enough to "explain the health complaints." Instead, she said, exposure to chemicals, pesticides or anti-nerve agent pills were more likely causes. The Institute of Medicine is an independent, non-profit research arm of the National Academies, an umbrella research organization that includes academies for science and engineering. 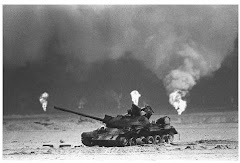 In January, advocacy groups criticized an institute report that said there are too many symptoms or illnesses to determine a cause or cure for a single problem related to service in the Persian Gulf War. In March, a VA whistle-blower told a House committee that the department had intentionally misled the public about research that would lead to costly benefits for veterans. VA officials denied the claim. Steele said the only other time the institute had become involved in defining an illness was a previous report that included no experts in Gulf War illness. "It didn't give us a lot of confidence that IOM could come up with" an evidence-based definition, she said. "Thank you, Dr. Steele," Shine said. "And with that vote of confidence…"
Jim Binns, who was recently told his tenure as the head of the Gulf War Illness Advisory Committee would end this year, said the institute's 2010 report included all research into Gulf War illness and led more researchers and money from Congress into the field. Institute committees, Shine said, are often assigned to look at evidence for a particular set of issues, and often "the evidence changes." Committees, he said, can be held responsible only for the mission they're given and the available evidence at the time. The VA assigned the committee to include members with specific skills to help define the illness, Shine said, but those skills do not have to be specific to Gulf War illness.